Wind energy has been recognized not only as a renewable energy, but also as one of the most sustainable forms of energy in all parts of the world. More and more nations have shifted focus from other forms of power generation to wind energy generation as one of the principal power resources. However, the industrial components employed in wind energy generation face the harshest environmental challenges, including dust, hail and atmospheric pollution. To resist corrosion and wear in components, A&A Coatings provides thermal spray coating solutions that can provide the best protection without interfering with key functionalities of the equipment used in the wind energy sector. Wind turbines have many exposed mechanical components which are typically manufactured out of strong lightweight materials. However, a focus on light weight means that these components are usually subject to severely corrosive environments. A&A Coatings, using our Electric Arc Thermal Spray Process, is able to apply a coating of Zinc, Aluminum or Zinc-Aluminum Alloy to prevent this corrosion and lead to longer service life of these components. Bearings and other components which are subject to rubbing and mechanical wear can benefit from A&A Coatings’ wear resistant materials applied via the Plasma and HVOF coating processes. These coatings not only will prevent wear from rubbing and galling, but can also in some cases add corrosion and quick release properties which will reduce friction in the component. 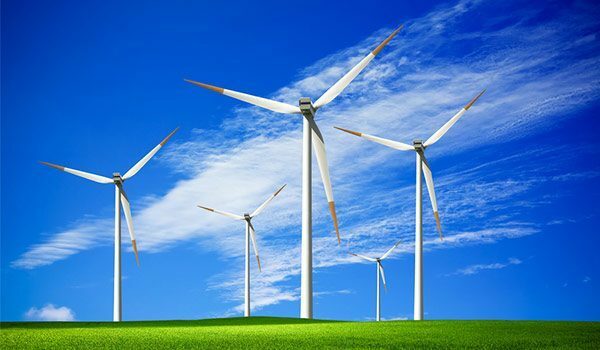 As wind energy is gradually gaining ground as a clean and sustainable energy resource all over the world, the best minds at A&A Coatings are deployed at improving the service lifespan of wind turbines and their components through specialized thermal spray coatings. With more than 70 years of industry experience in thermal spraying technologies, you can certainly trust A&A Coatings to support you fully in protecting your equipment investment in the wind energy industry. Do contact us today to find out more about our range of capabilities.